Before we begin it is important to know why it is so crucial to store ratchet straps the proper way. Ratchet straps that are stored improperly can last several times less than those who store their ratchet straps correctly. When ratchet straps are stored incorrectly you may face issues such as mold, mildew, color fading on the tie down webbing from harmful solar UV rays, burns or tears from friction from rubbing against a sharp surface, or loose tie down webbing that may damage the strength of your ratchet straps. A great rule of thumb is before use and before storing you should use a careful eye to inspect your ratchet straps from any defects. Although ratchet straps do tend to last longer than several years on average defects can arise from improper care on your tie down straps that may cause the need for new ratchet straps or replacement parts for your ratchet straps to be ordered due to the severity of the damage. A few things that will help preserve the lifespan of the tie down straps is to keep the tie down straps in a dark and dry area away from the sun, as well as away from all sources of moisture that could potentially cause mold or mildew over time. Did you know that mold and mildew are the leading cause of tie down straps going bad according to the Department of Transportations website? Mold and Mildew may not look like the strongest safety issue that can occur while using tie-down straps. The first step and the most important step to storing ratchet straps the correct way is planning ahead and preparing for where you intend on storing the straps. As easy as this sound, this is one of the most skipped steps in the tie down industry and is one of the most important. We recommend using a Ratchet Straps Duffle Bag or a weatherproof bag that can prevent moisture while still keeping the ratchet straps away from sunlight and remaining at a cool temperature. Next, once you have prepared on where to store the tie down straps you will need to scan over the ratchet straps for any potential defects that have occurred while in use. 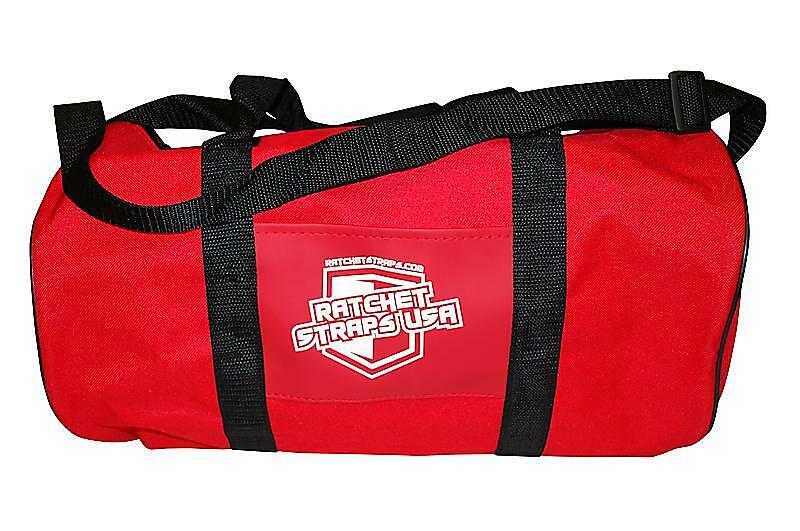 Some of the best ways to store ratchet straps include ziplock freezer bags, ratchet strap duffle bags from our online store, old socks, rubber bands, and zip ties to name a few of the best ways to store ratchet straps. As stated before this is one of the more important rules of thumbs to follow for any professional trucker or first-time mover. Once you have determined that the ratchet straps have no visible defects you will now be able to move on to the next step as they are safe to be reused. You will now want to find a preferred method to roll your ratchet straps to keep them organized while in storage as well as when you plan on using them next you will not have to fight a tangled mess to be able to use them again. Most ratchet strap users typically will use rubber bands or large socks to keep ratchet straps or tie downs inside of to keep them separated while preventing friction and a safe keeping. 1). Tie Down Dufflebags such as the one found here. These methods all make for the perfect way to help store your ratchet straps to keep the road safe and lasting. Remember, ratchet straps can last longer if they are properly taken care of and measures are taken to properly store tie downs. Traditionally ratchet straps tend to last anywhere from 2-3 years based on moderate use without storing the ratchet straps properly. Using proper storing techniques you can expect ratchet straps to last for a much longer period of time. By following some of our Ratchet Strap storing techniques you can expect your ratchet straps to outlast those who do not follow these ratchet strap storing techniques. If you do have a ratchet strap break from repetitive use, we are a leading supplier of replacement tie down straps that allow you to replace the short end or the long end of the ratchet straps saving you money and giving you a practically brand new ratchet strap for a fraction of the price. Now that you have been filled in with some of the methods for storing ratchet straps in, we now need to know where to store the ratchet straps in a safe location. Most professional truckers will store their ratchet straps inside of their duffle bags, zip locks, socks or method of choice in the back of their semi truck as Ratchet Straps can become quickly damaged from direct sunlight that could potentially fade or damage the strength of the polyester tie down webbing. Although our ratchet straps are made with protection against sunlight in mind, consistent contact with direct sunlight may damage these straps. If you have any questions regarding the best ways to store ratchet straps or have any questions regarding any of our ratchet straps, cam buckles, or any other products on our website. Give our friendly team a call at 800-483-2189 and we would be happy to assist you with answering any questions or requesting product information. If you would rather contact us via email please use our online contact form located here and we will do our best to respond back as quick as possible. 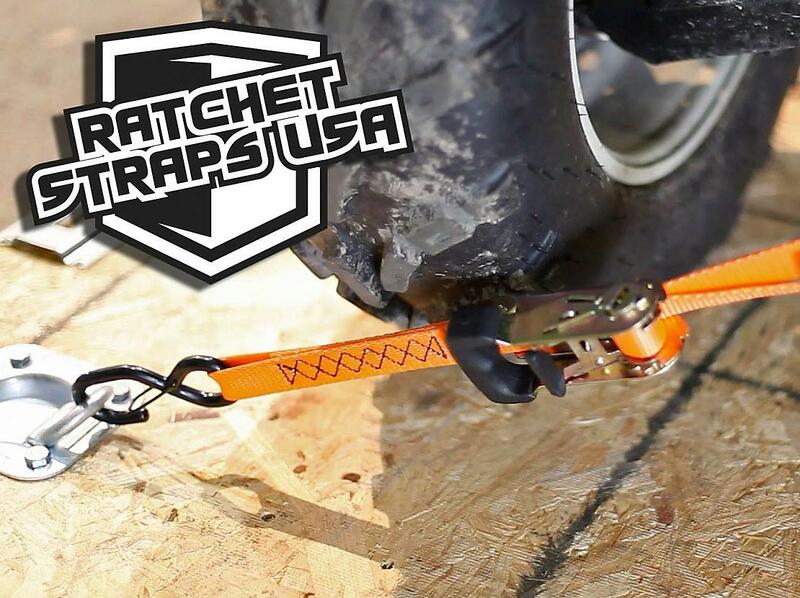 We hope we were able to help you with some unique ways to store ratchet straps and look forward to hearing from you!